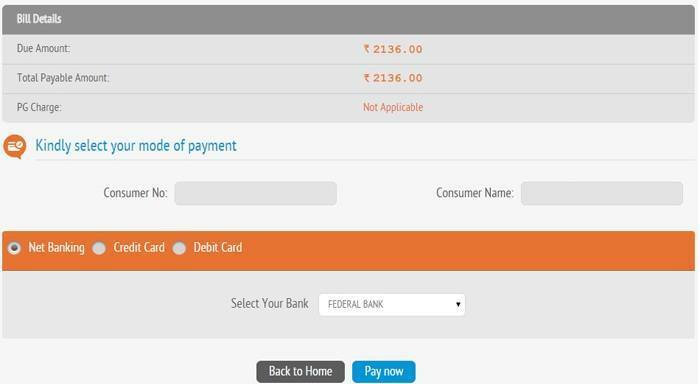 KSEB has now introduced a new way to pay your electricity bills online through official Quick Pay portal. 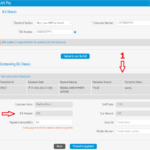 It is so easy to make KSEB online payment through KSEB Quick Pay. 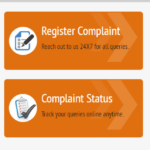 But you should have some information in hand before making KSEB online payment using QuickPay. Using KSEB Quick Pay, you can pay your KSEB electricity bill without registration. Before going to bill payment section for making KSEB online payment, you have to know the number of your outstanding bill. No problem if you don’t know the bill number, it can be obtained by entering your 13 digit consumer number and section in the KSEB bill view page. After viewing the bill, you can note the bill number or even save the page in PDF format if you want to refer it in future. If you have your electrical section name, consumer number and current outstanding bill number, you can pay your electrical bill through official KSEB QuickPay portal. Follow below link to go to KSEB Quick Pay – KSEB Online Bill Payment portal. 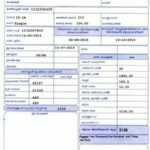 It will direct you to “ KSEB Quick Pay – Web Self Service ” page of Kerala State Electricity Board. You can make payment through Internet banking, Debit or Credit cards. Select the payment mode you wish to use then click “Pay Now” and complete the transaction. You will get payment confirmation as SMS in your mobile number and as an E-Mail in you email id if KSEB Online Payment transaction is successful. What is my 13 digit consumer No ?